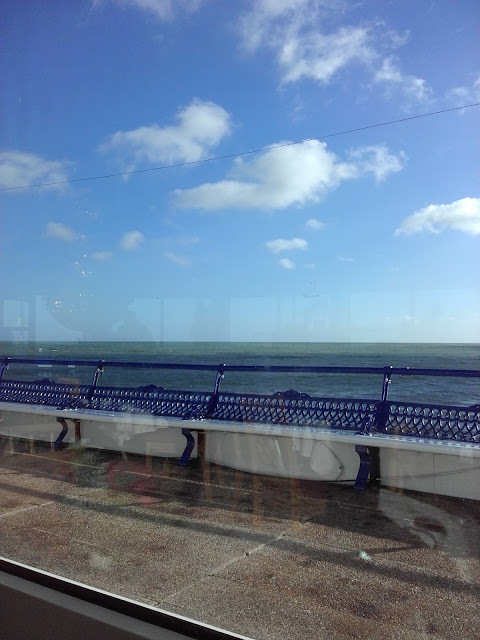 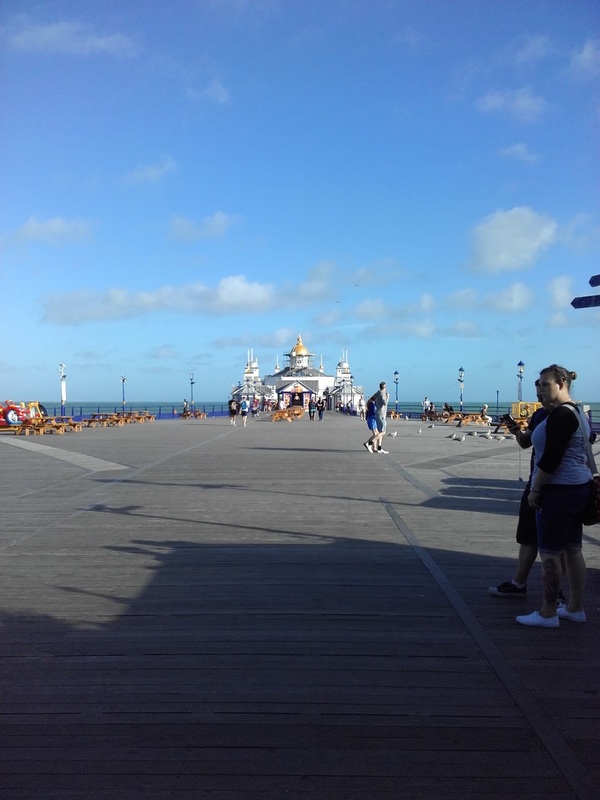 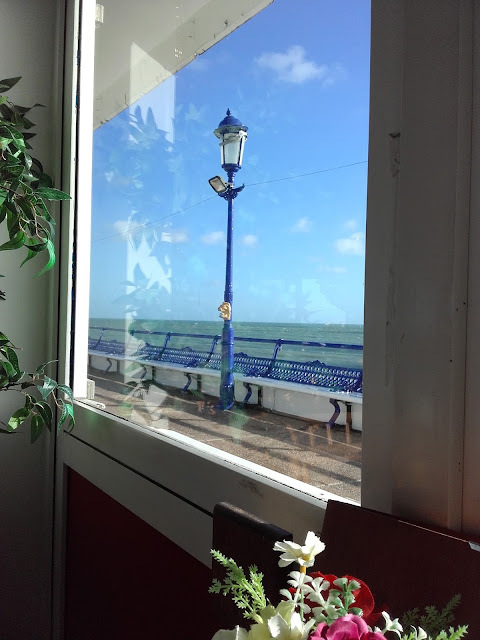 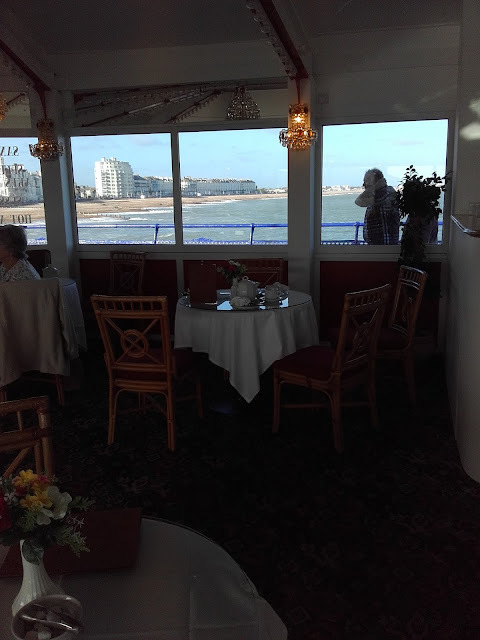 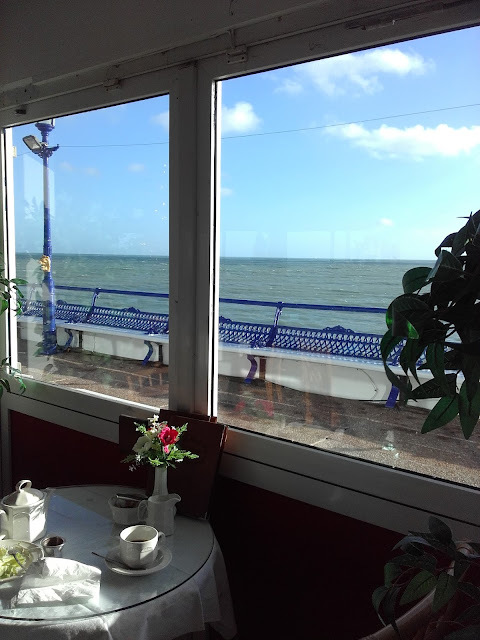 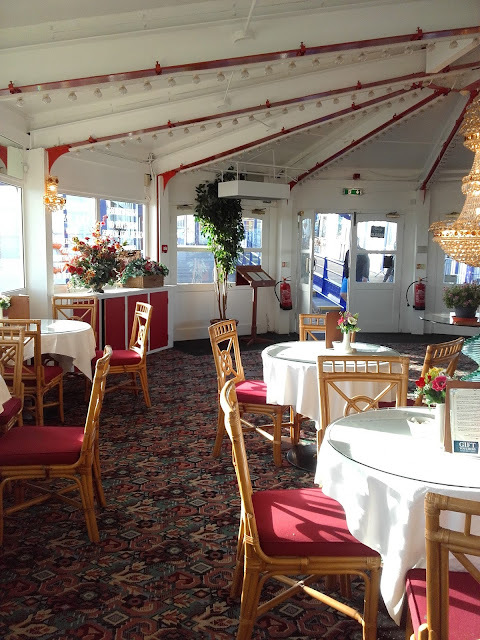 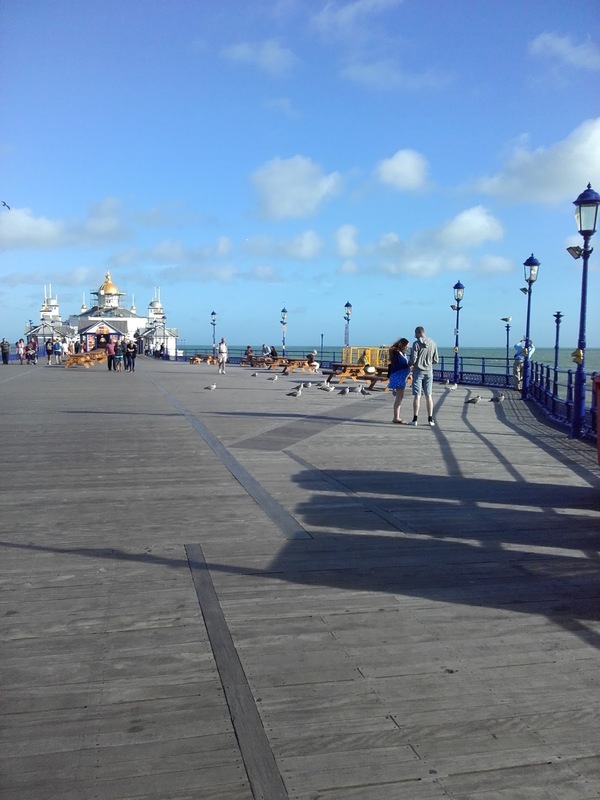 Despite being born and raised in Eastbourne, I have never dined at the Victorian Tea Rooms located in the middle of Eastbourne Pier. Thankfully it was untouched by the fire in 2014. 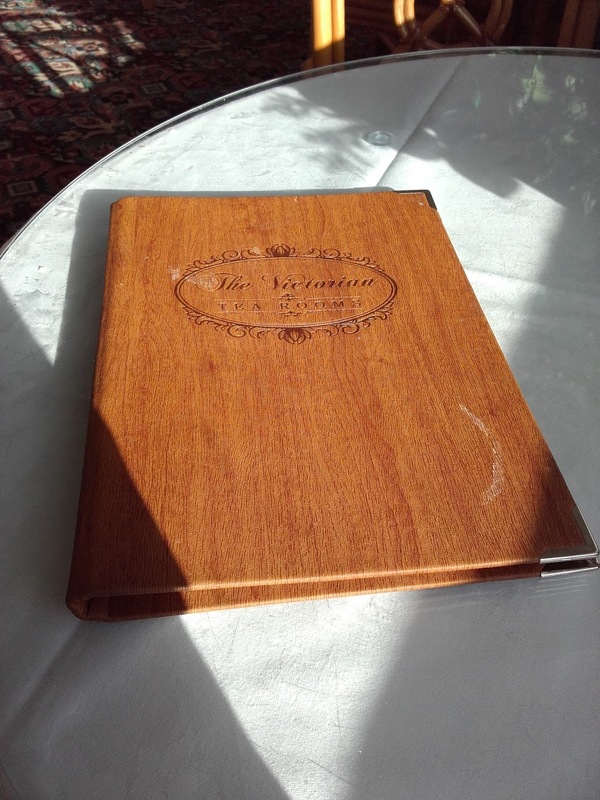 As a foodie I decided to pay it a visit because I have not written much about my hometown. 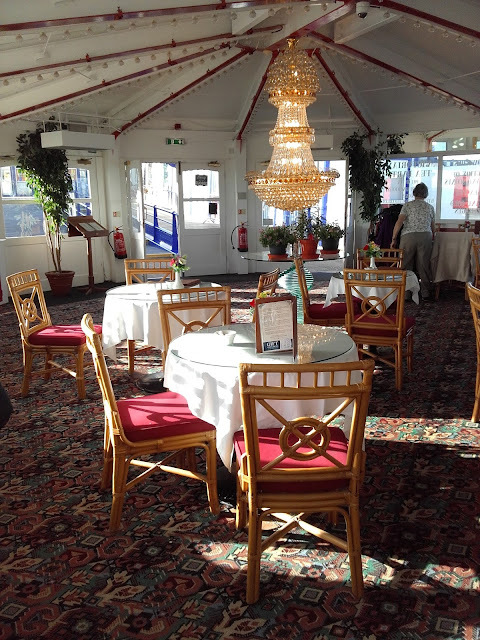 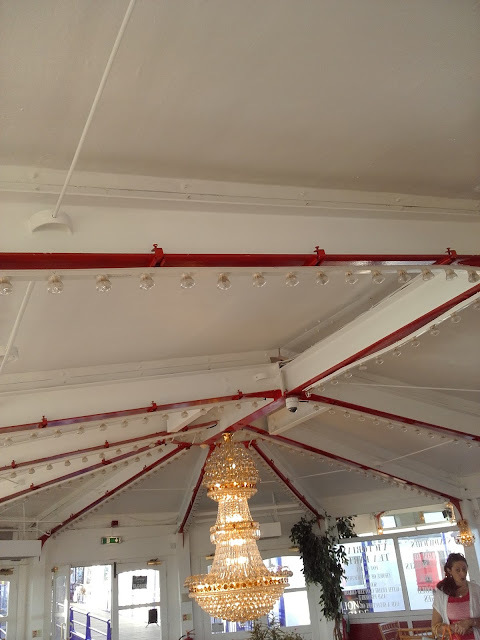 Inside the tea room, it was just how it was when I saw it from the outside as a child. 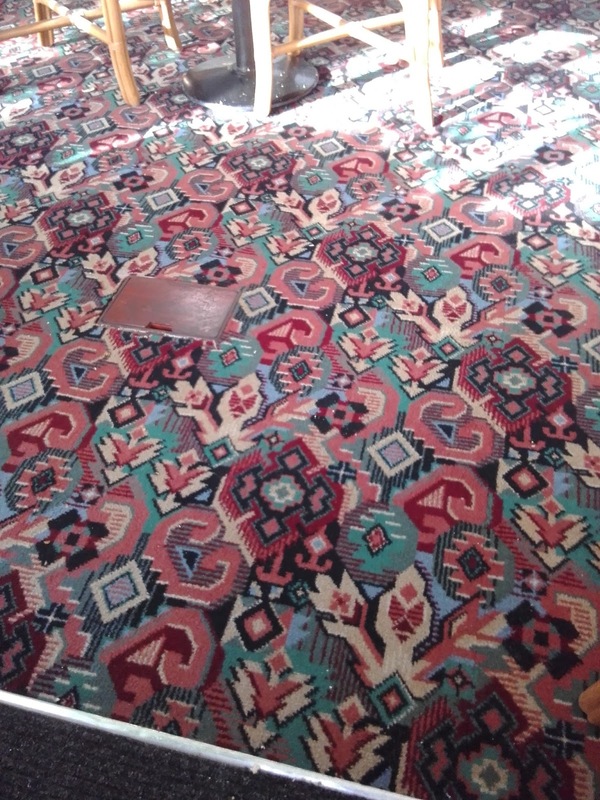 The carpets were really familiar, perhaps they were popular and carpeted everywhere in those days. 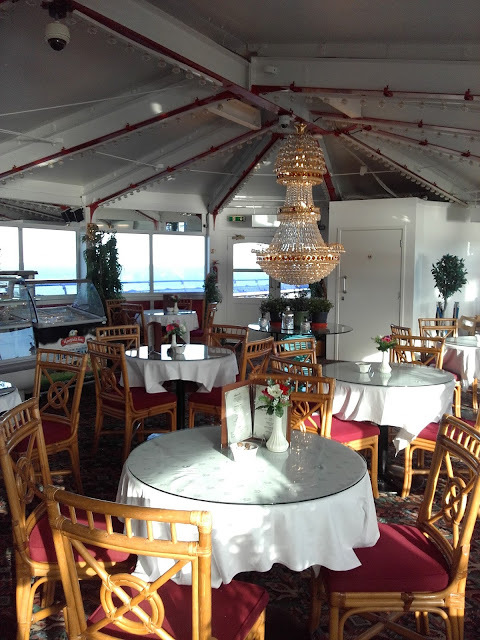 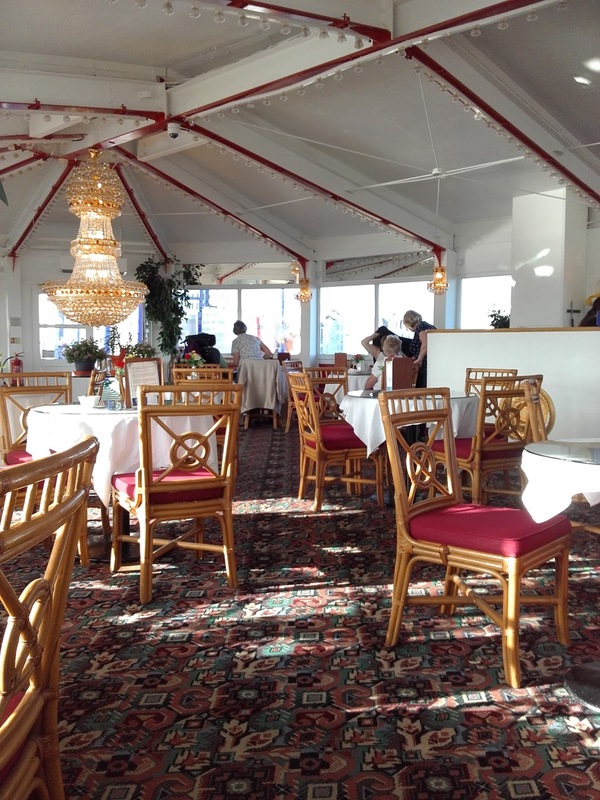 There were golden crystal chandeliers and a picturesque view of the sea on both sides. 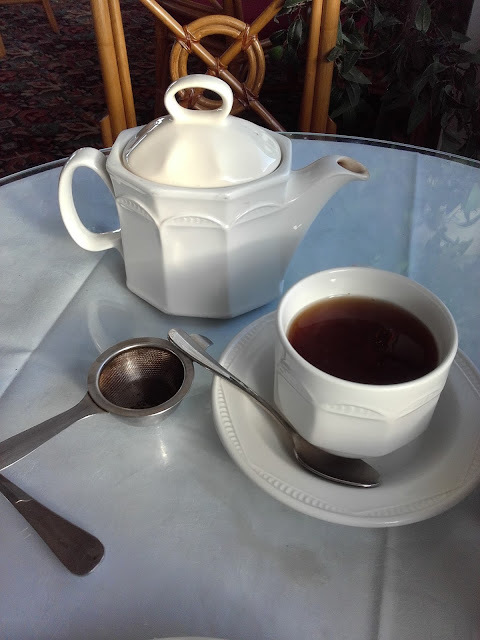 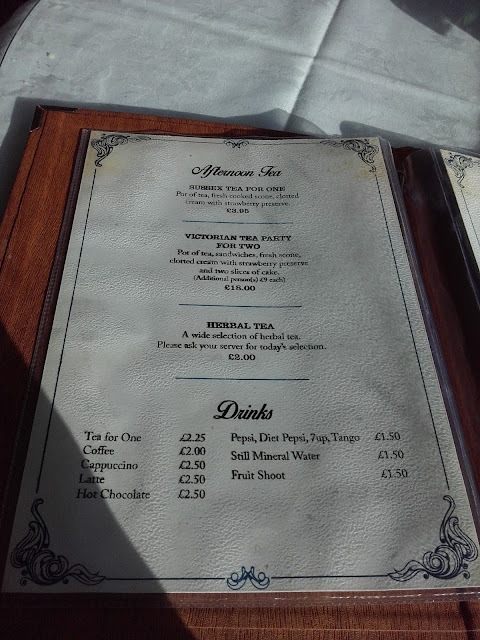 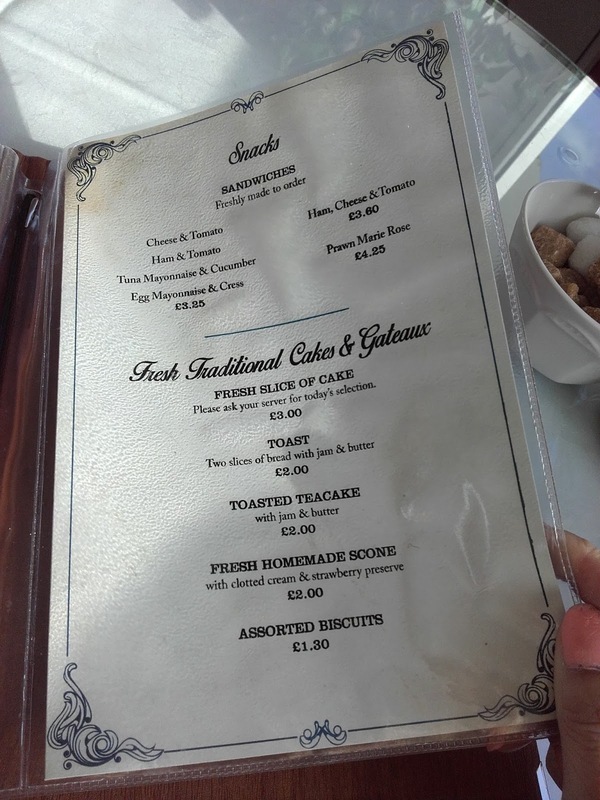 Looking at the menu, the Sussex Tea set was only £3.95 which includes a scone with cream, jam and a pot of tea. In contrast to that, the Egg and Cress sandwich seemed expensive because it was £3.25 without tea but then it was freshly made with cress which you can see in the fridge cabinet. I ordered the Egg mayonnaise and cress because I haven't had it for ages and not many places have fresh cress in the kitchen. 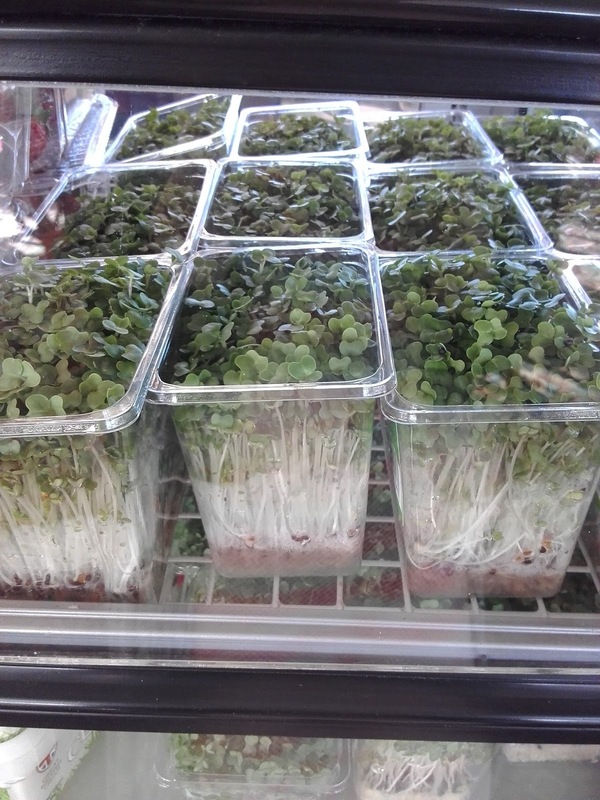 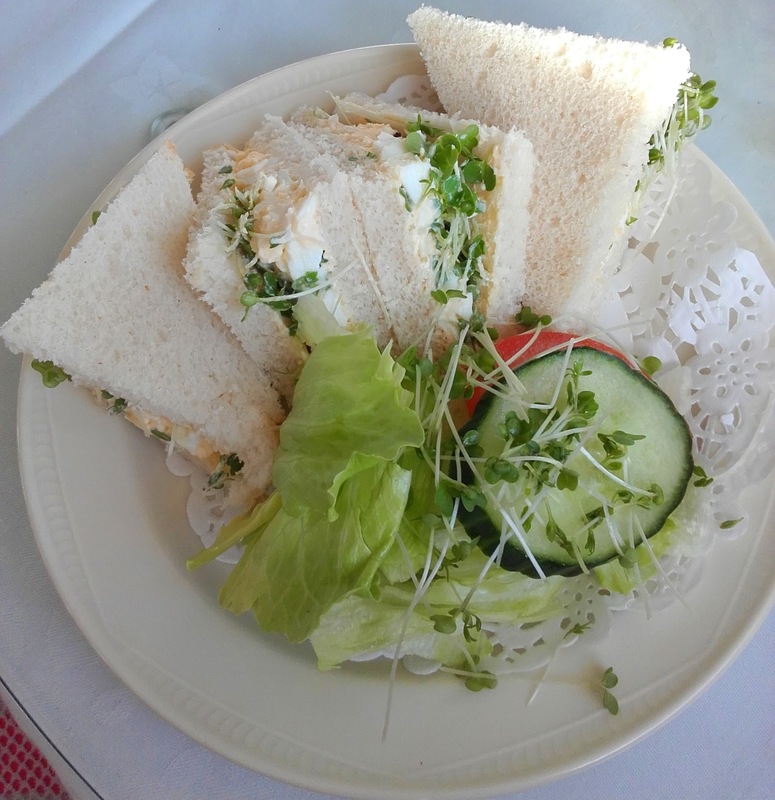 It was really comforting when my sandwich came, seeing all that luscious green cress in the sandwich and cress sprinkled on the salad. As expected, it was delicious and the fresh cress did wonders. 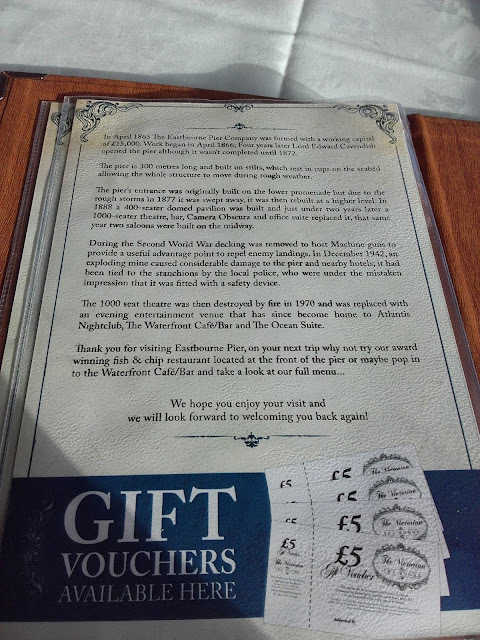 The only let down was the service because it wasn't that friendly and it was late in the day so they were not amused when more customers came in.